Ability Center has expanded through the opening of a new location in Goodyear Arizona. The addition will allow Ability Center to provide a full breadth of mobility products and services to the West Valley of Phoenix, serving the communities of Goodyear, Avondale, Litchfield Park, Buckeye, Verrado, and West Phoenix. Ability Center is a full-service mobility products company with locations across California, Arizona and Nevada, each offering a large selection of new and used wheelchair accessible vans, as well as adaptive driving aids, lifts/ramps, wheelchair van rentals, service and more. The company holds an outstanding reputation for quality and customer service and represents industry manufacturers who reflect the same business practices. Ability Center can also assist in selecting financing and warranty programs that fit the customer’s unique needs. 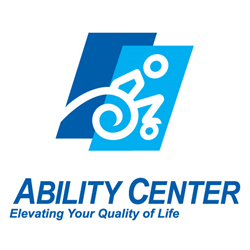 For more information, please visit http://www.abilitycenter.com .